Ideal for: An area with lots of natural light. Not ideal for: Those who want a pale coloured floor. Tiger brown oak flooring is a beautiful version of our Character oak with streaks of chocolate brown and shimmering gold. 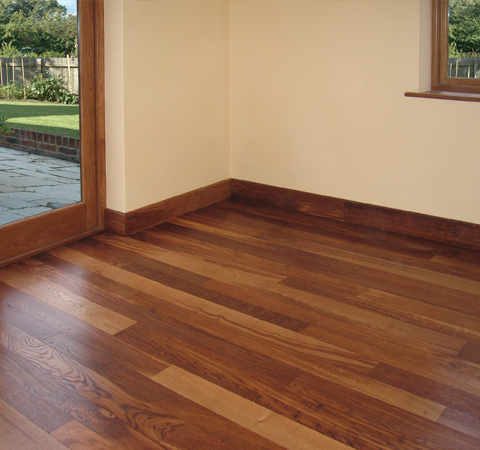 It is the darkest of all our hardwood floors and is particularly suited to rooms with plenty of natural light. Brown oak is unique to British forests and gets its colour from a fungus that grows around the roots of the tree causing the heart wood to change colour. The ‘tiger stripes’ appear as the brown streaks up from the roots of the tree towards the crown. 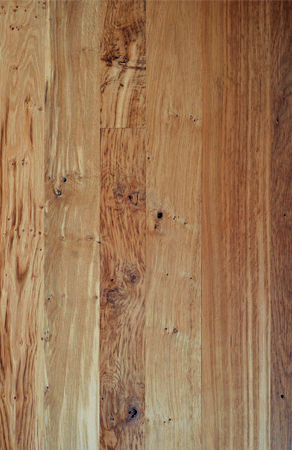 Tiger brown English oak flooring is rarely seen so will undoubtedly receive many admiring comments.